Mid-range knee tilt and high-back combine for relaxed comfort. Soft touch leather and padded armrests. Mahogany finish trim for a touch of warmth. Mid-range knee tilt and high-back combine for relaxed comfort. 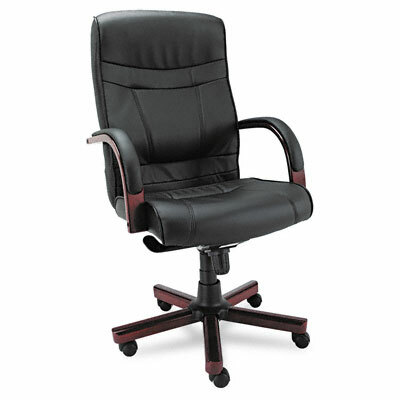 Soft touch black leather and padded armrests. Mahogany finish trim for a touch of warmth.